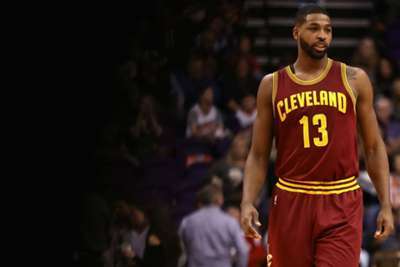 Cleveland Cavaliers forward Tristan Thompson is not backing down from his claims that his side will still be competitive in the Eastern Conference, even without LeBron James. Thompson is determined to prove Cleveland can remain in the playoff picture this season, despite losing James to the Los Angeles Lakers after he opted out of the final year of his contract to enter free agency during the offseason. "We're a playoff team - that's realistic," Thompson said after Friday's 129-110 preseason loss to the Detroit Pistons, per cleveland.com. "Everyone that says playoffs is overachieving doesn't know our squad and doesn't believe in our squad. "For us, we're a playoff team. We just have to go out there, be ourselves and prove the naysayers wrong, which we will." The Cavaliers have advanced to the NBA Finals the past four seasons – winning the championship in 2016 – but they did that behind James. Thompson does not seem too concerned, though, and he believes Cleveland are capable of contending for the title if the team builds a new identity. "We know what we can do here," Thompson said. "I think for us it's kind of building an identity and what we need to do to be effective. And for us, that's get up and down and play a high-octane offense, play fast, be athletic and be young. "I think that's what we realise that's what we have to do and we see that in practice." Thompson made a bold comment two weeks ago, saying: "We're still four-time Eastern Conference champions, so until you take us down from that, teams ain't got much to say." He then went on to take a shot at the Boston Celtics, Philadelphia 76ers and Toronto Raptors. The Cavaliers finished the preseason 2-2 and will open the regular season on Wednesday on the road against the Raptors.